Helen “Honey” K. (Kennedy) Ryan, age 89, passed away peacefully surrounded by her loving family on Saturday, January 12, 2019. Born in Joliet, IL on March 27, 1929, she was the daughter of the late M. Hayes and the late Mary Louise (Lennon) Kennedy. She grew up in Joliet and graduated from St. Raymond’s School and Saint Francis Academy. After her freshman year at Saint Francis College in Joliet she transferred to Saint Mary’s College in South Bend, IN, graduating with a BA in History. Following graduation Helen spent the summer traveling in Europe and attending a semester of classes at the University of Fribourg in Fribourg, Switzerland. Helen taught at the Chaney Elementary School in Lockport, IL for 3 years. She then joined the Ginn & Company Chicago office, where she worked as an educational consultant working throughout the United States and Canada for seven years. While at Ginn, a mutual friend introduced Helen to her future husband, Edwin J. Ryan of Providence, RI. After getting married they moved to Cleveland, OH and later to Birmingham and Royal Oak, MI where they started their family. They moved to Norwood, MA, where they lived for a year before settling in Walpole. As their family grew up, Helen returned to her teaching career by serving as the Reading Specialist at Blessed Sacrament School. She later worked as a substitute teacher for many years at both Blessed Sacrament School and Walpole Public Schools. Helen cherished her children and grandchildren above all else. 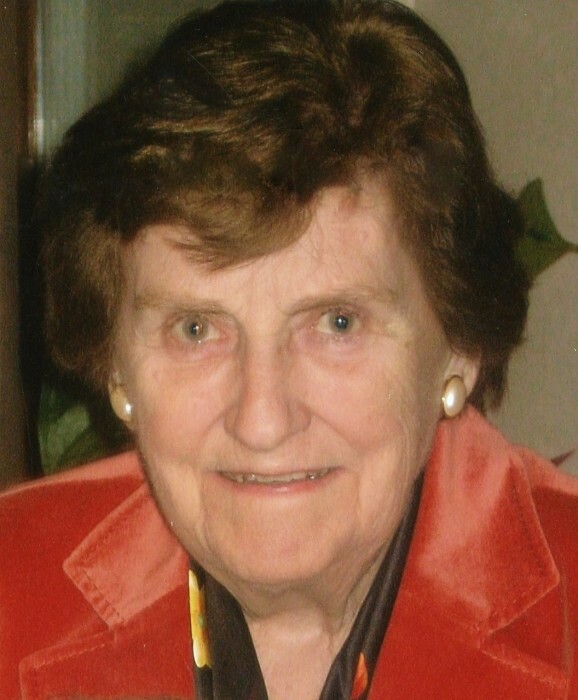 She was a past president of the Saint Mary’s College Boston Club and served on the Saint Mary’s College Alumni Board. She volunteered tirelessly at Blessed Sacrament School and Blessed Sacrament Church for many years. Helen was longtime member of the Walpole Women’s Club. Beloved wife of the late Edwin J. Ryan. Loving mother of Edwin Ryan, Jr. and his wife Kathryn of South Walpole, Robert Ryan and his wife Linda of Shrewsbury, Mary Flaherty and her husband Jeffrey of Foxborough, Helen Ryan of Walpole, and Katherine Ryan and her husband Kenneth Lewis of Arlington, VA. Loving grandmother of Edwin Ryan, Grace Ryan, Patrick Ryan, Thomas Ryan, Molly Flaherty, Ryan Flaherty, and Tobias Lewis. Sister of the late Mary Frances Kennedy, the late Hayes Kennedy and his late wife Ann, the late Daniel Kennedy and his late wife Ruth, and the late James Kennedy and his wife, Betsy of Michigan City, IN. Also survived by many nieces and nephews. A wake will be held on Thursday, January 17, 2019 from 4 to 7 PM and Friday, January 18, 2019 from 10 to 10:30 AM in the James H. Delaney & Son Funeral Home, 48 Common Street, Walpole. A Mass of Christian Burial will be celebrated in Saint Mary’s Church, 176 Washington Street, East Walpole on Friday, January 18, 2019 at 11:00 AM. Interment will follow in Saint Francis Cemetery in Walpole. In lieu of flowers, memorial donations may be made to: St Mary’s College Alumnae Memorial Scholarship Fund, Saint Mary's College Notre Dame, IN 46556 or The Edwin J. and Helen K. Ryan Memorial Scholarship Fund, Walpole Scholarship Foundation, c/o The Edwin J. and Helen K. Ryan Memorial Scholarship Fund, P. O. Box 58, East Walpole, MA 02032.